Want to discover how to lose weight and never be hungry again? A Slimming World consultant runs sessions in Coxhoe. Your local consultant Sophie now runs four sessions a week in Coxhoe Village Hall. Two sessions are on Wednesdays at 5.00pm and 7.00pm respectively. A further two sessions are held on Thursdays, again at 5.00pm and 7.00pm respectively. Call Sophie on 07876 888265 for more information or email her at sophietaylor@consultant.com. Slimming World feels it offers the most effective way to lose weight. They have spent 40 years developing a programme that in their view really works. They feel that their generous eating plan makes slimming easier than you ever thought possible! Instead of telling you what you can and can’t eat, they feel that their recommended Food Optimising puts you in control. Slimming World say that you don’t need to worry about weighing your food, counting points or monitoring every mouthful and that’s what they feel make their approach so liberating! Combined with their tried and tested weight loss support system, Slimming World consider their approach to really be a recipe for success! Slimming World also suggest that their advanced approach to weight loss is empowering and highly effective. They advise that the support you’ll get at your group each week is based on a deep understanding of how you feel and a passionate desire to help you achieve your personal weight loss goals – and maintain them for life! Slimming World feel that success isn’t achieved by setting impossible standards or through humiliation. They consider that it’s achieved through caring, compassion and respect for you. They let you decide what weight you want to be and they are committed to helping you get there, where you want to be. At Slimming World everyone works together to help you look and feel great – body, mind and soul. All the Consultants who run the groups have lost weight themselves, so they know exactly what you’re going through, and can help you through all the ups and downs of your weight loss journey. As they are so convinced that they can help you lose weight, they will give you your money back if you don’t! Slimming World says taste the difference! Never go hungry again! Their free food list includes masses of food that you can eat in unlimited amounts. They advise you to eat as much as you want, when you want! No food is banned and Slimming Worldsay you can have your favourite treats every day and still lose weight. Slimming World feel that they support you every step of the way at your weekly group, where their Consultants and your fellow members want you to succeed just as much as you do! You’ll get free access to their exclusive website for members. You set your own target. You choose the weight you want to be and Slimming World are confident that together you’ll achieve it. 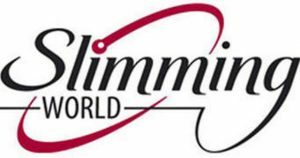 Slimming World special offers for membership are often changing, but as a guide the weekly fees are about £4.95 for a standard member, £4.65 over 60’s, and £3.95 for 16-17 year olds. 11-15 year olds come for free with a paying parental adult.